If you are looking for the perfect location for your family Communion or Confirmation in New Jersey, come take a look at the scenic and historic locations offered by Bahrs Landing. We truly offer the perfect, waterfront backdrop for your special religious event and our staff is ready to make your day a memory to cherish for a lifetime. 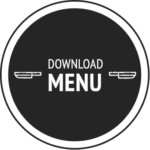 Please take a look at our communion / confirmation menu and download the full file by clicking the button to your left. Also, if you have questions or would like to speak to a Bahrs Landing Party Planning Expert, simply fill our the form below and we’ll be in touch shortly.